First of all….What is it? The TSE250R is the 2 Stroke Big Bike offering from US Based company GPX Moto. GPX Moto is a subsidiary of USA MotorToys who also owns Pitster Pro (small bikes). The TSE250R is in essence a Yamaha DT230 motor packaged into a 2017 Husqvarna TC Chassis. 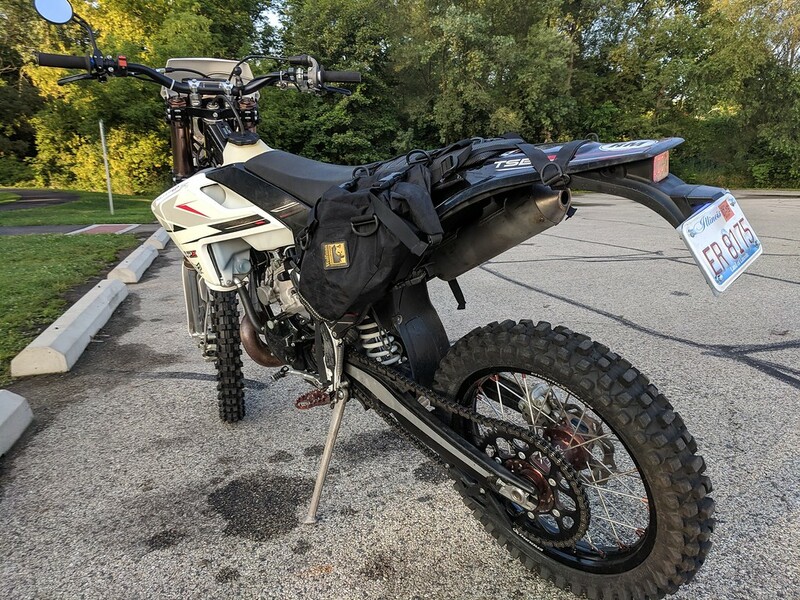 The manufacturer (in China) apparently bought tooling from Yamaha for the engine, and so far as I know or can tell, the frame, plastics, etc are Husky replicas. 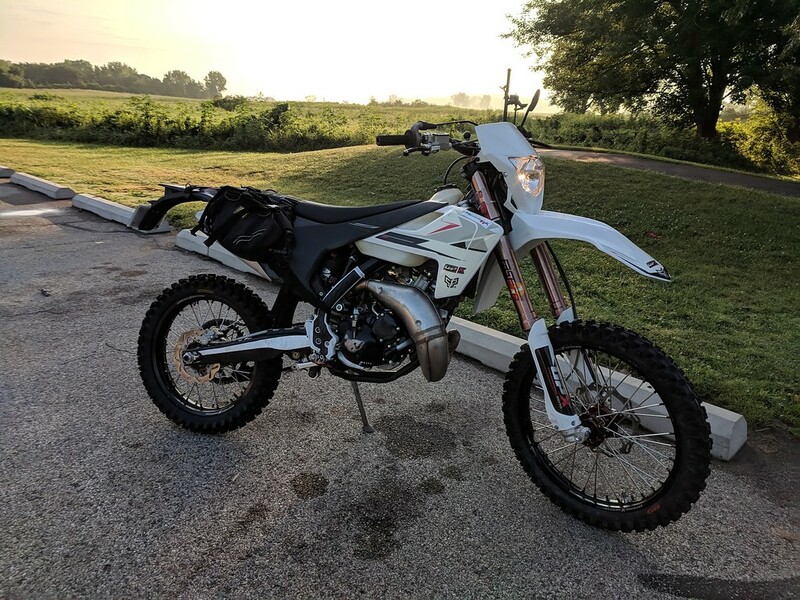 GPX opted on this bike to adapt a CRF450 front fender and a 2015 Yamaha WR450F headlight. After a bit of time in transit, and getting my lights wired up, I finally got to fire up the TSE250R for some test riding. Keep in mind that the bulk of my riding has been on the street. I’m in the middle of flatlandia IL, so very few places to actually ride off-road. Despite most of my riding being street oriented, it gives a little different perspective from others. Traditional 2 Stroke engines conjure images of vibrations and the tingling feeling in your hands as they’ve been buzzed to oblivion. The powerplant of the TSE250R goes a long way to address this issue. The TSE250R engine, initially a Yamaha engine is one that is counterbalanced. This counterbalancer smooths out engine vibrations to a degree that on the street, you’re feeling more vibration from the knobby tires than the engine itself. Right side of engine showing expansion chamber and oil injection pump area. Now this is not to say that the engine does not feel like a 2 Stroke. In just about every sense, it does. There is the ring ding ding of the expansion chamber (which is double walled and sound deadened for noise reduction). The power kicks in with a bit of revs and tapers off smoothly. The state of tune on this is for overall power spread. You’re not getting a massive hit with this engine. Riding on the street really exacerbates this as you feel the revs taper off quick as you’re clicking through the gears. Stock gearing on the TSE250R is 12/52. Comparing this to the original Yamaha this motor was in, and this is incredibly short. Original DT230 bike ran 16/55 gearing. This variance though shows just how wide and versatile the transmission in this engine is. With the TSE250R’s oem gearing, you can comfortably cruise on the street at 60mph. At these revs, the engine is turning a calculated 7000 RPM. Despite how high these revs are, as noted earlier, the bike is oddly smooth. Same setup dropped into some light off-roading and the bike immediately feels far more at home. The brakes on the bike appear to be very similar to the Brembos commonly found on KTM and other Euro bike manufacturers. However the brakes on the GPX are not Brembo. This is not a major concern though as the brakes feel very positive, have great grab and when asked, will lock up the wheels. Time will tell on how they hold up, but initial impressions are very positive. Very KTM like brake and swingarm setup. My time spent off-road has been minimal, but this is where the TSE250R motor is shining. The engine pulls in a very linear fashion. While a big hit of a more racey 2 Stroke may be exhilarating, wider and linear is excellent for off-road. A quick stab of the clutch quickly picks the engine up onto the pipe, but still smooth, tractable. In a small ravine, 2nd gear hopped the front wheel over a water eroded rut with ease. Rolling back down and to jump out, on the gas, the bike roosted out with a slight jump. Landing and immediately accelerating off to the edge of my property. A downside to the bike so far has been with regards to throttle and throttle response. Coming from a Fuel Injected 4T, with an ultra light throttle, I miss the immediate response. Fuel Injection provides absolutely crisp throttle response. In comparison, the carburetor dulls these responses and even with “perfect” jetting on a given day, it’ll be slightly off the next. That is what it is. I appreciate its simplicity, but if you’ve been spending time on an injected bike, you’ll feel the difference. The other downfall is the throttle is on the heavy side. This isn’t carburetor related, but moreso that the bike has mechanical Oil Injection. 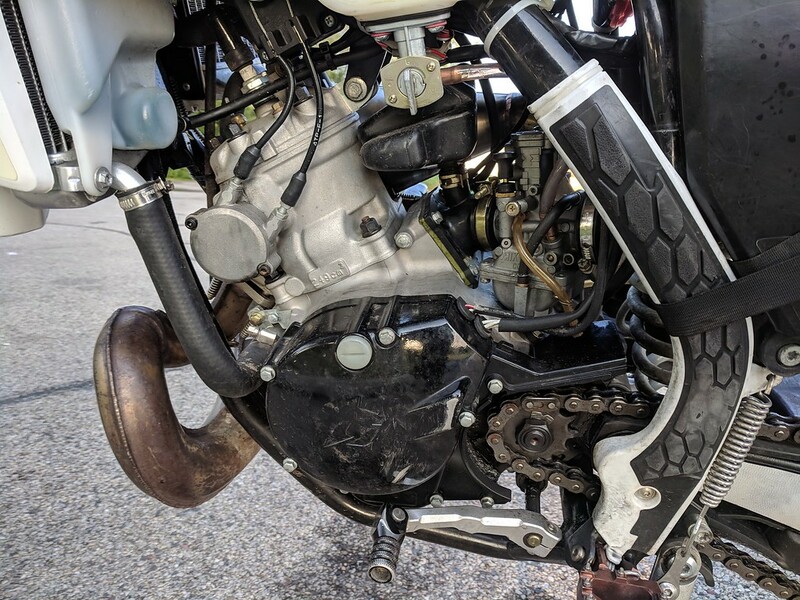 For this to function (for those not familiar with 70’s 2 Stroke bikes), the throttle cable splits off in a Y, with one end terminating at the carburetor and the other at the oil injection pump. The more throttle, the more oil. Consequently you end up with spring returns in both the carburetor as well as the oil pump, giving a slightly heavier throttle pull. The main thing I’m anxious to test more on is with regards to suspension and chassis. The TSE250R is setup with FastAce suspension. The bit I did test on my property felt very compliant. Despite running tires at silly high pressure (24psi for road use), the tires kept firmly planted on the ground. Looking where I wanted to go, the bike didn’t think twice about tipping down into the turn and following through. Steering is incredibly light with great feel. Turning radius does feel somewhat limited, though this may only be an issue if you’re going full trials mode with your riding. I noted the downside above regarding throttle pull, and while I’d like to say that is my only complaint, I feel there are a couple others that can be noted. One is that there are hints of the “Chinesium” on the bike. These details can be seen in add-on type areas. 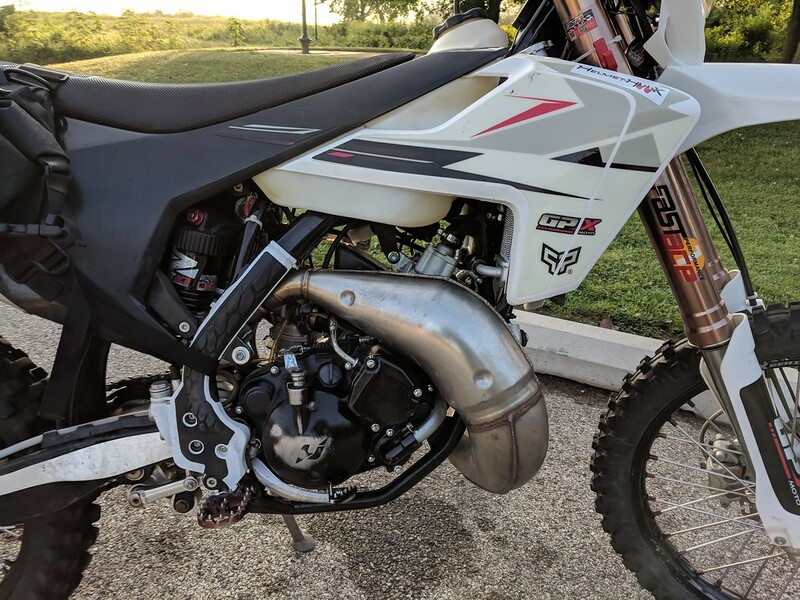 For example, the front fender is off of a modern Honda CRF450R. The triple clamps appear to be KTM Replicas. 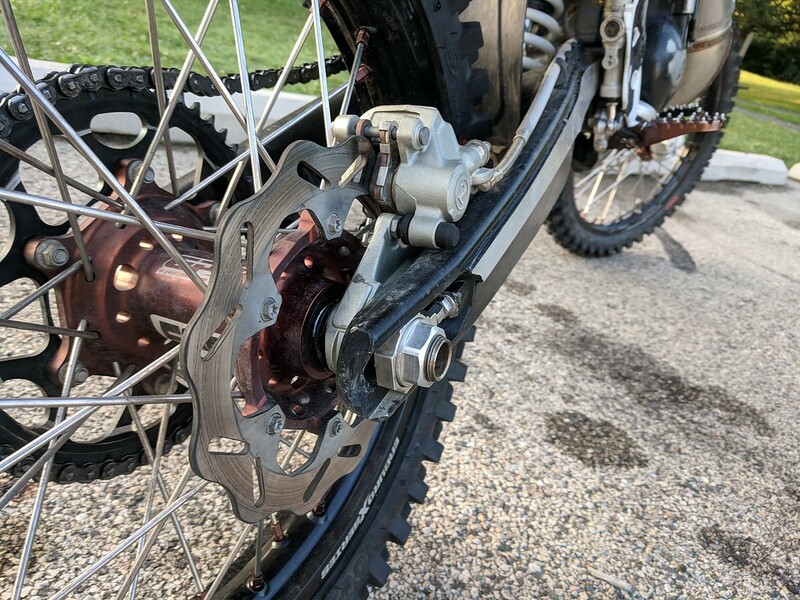 Instead of adjusting tooling for the lower triple clamp to directly mate with the Honda based front fender, they chose to make a steel adapter to fit the Honda fender to the KTM clamp. Yes, it works, however this adds weight and extra complexity. This is the same for how other extra parts add on notably around the dash and extra brackets for mounting a number plate vs the supplied headlight. 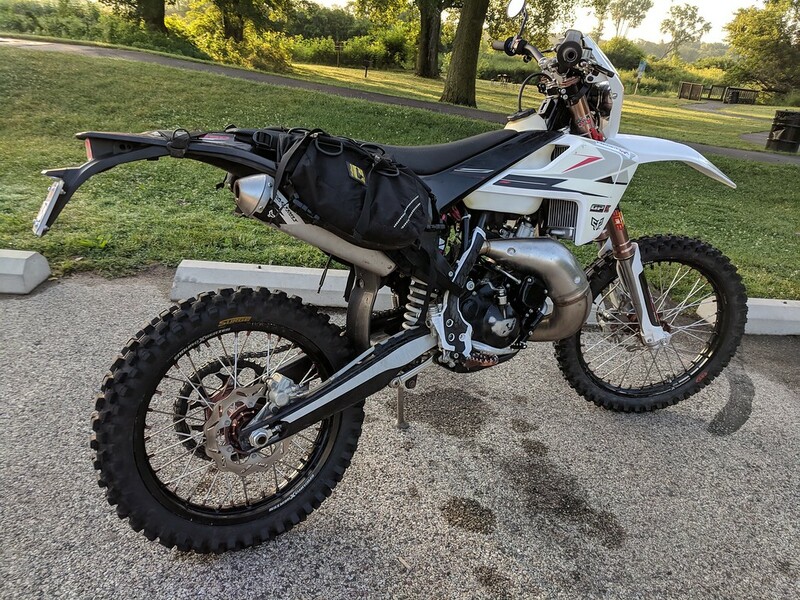 My greatest real concern on this is the fact that everything so far on the bike appears to be a replica, or I guess say it how you will, a knockoff. I found this out as myself and others online were beginning to rejet their bikes for use and weather. The carburetor is supposed to be a Mikuni TM30 carburetor. After digging in, it is apparent that the carburetor too is a replica of the original Mikuni. This can cause issues if you’re looking to use OEM Mikuni components. Main Jets from Mikuni for this carburetor are a very goofy thread size. M5.3 x 0.9. The manufacturer of this carb opted to thread the needle jet (where main jet threads into) with the more common M5x0.8. They also size their jets differently from Mikuni. Not major issues, but it can throw some complication in the mix. As things stand, it’s hard to say how you can beat the value of this bike. New from GPX, the TSE250R hits the bank for $5600 (+Shipping). 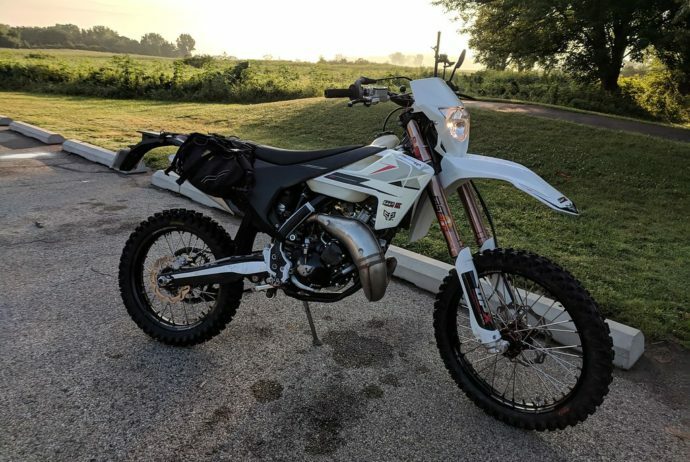 Compared to a new KTM, you’re saving around $3000. Long term is obviously a work in progress and you won’t have to twist my arm to do my part to put this bike through a torture test. Simply put so far on this is that if you’re OK with being a sort of beta tester for a first line of bikes from GPX, then you very little chance of being disappointed with the bike. I know I’m looking forward to what else GPX has in the works. Overall this is a great machine that should be on your new bikes to consider list.